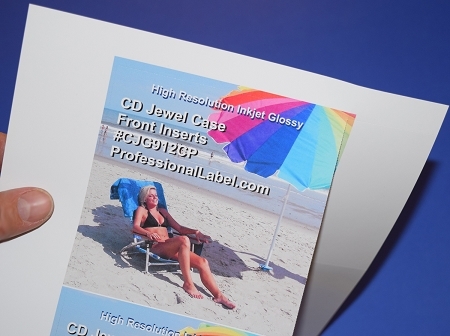 Recommended for high resolution Inkjets, will also work in laser printers. 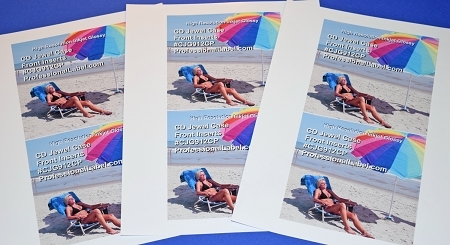 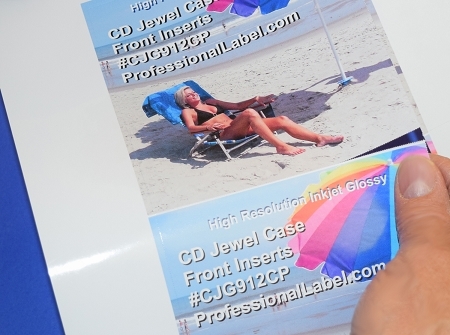 Specially coated for color inkjets to achieve crisp photo quality high resolution detail. 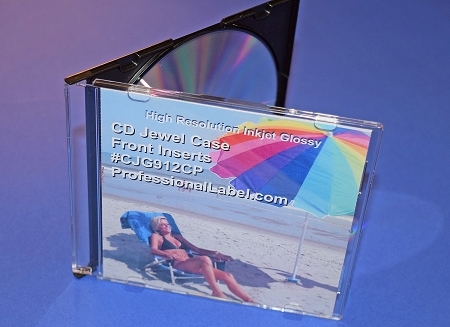 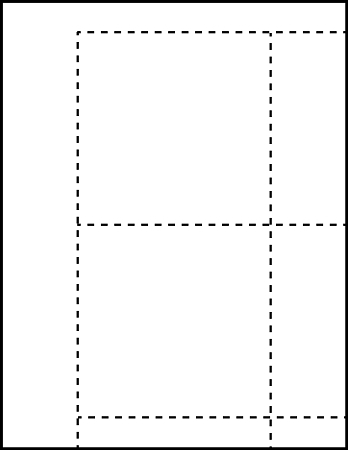 On 8 1/2" x 11" sheets perforated with micro perforations to tear down to two 4 3/4" x 4 3/4" front CD jewel case inserts after detaching which is a custom fit for the front insert area of a CD jewel case.